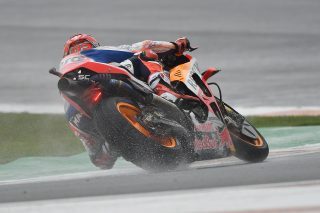 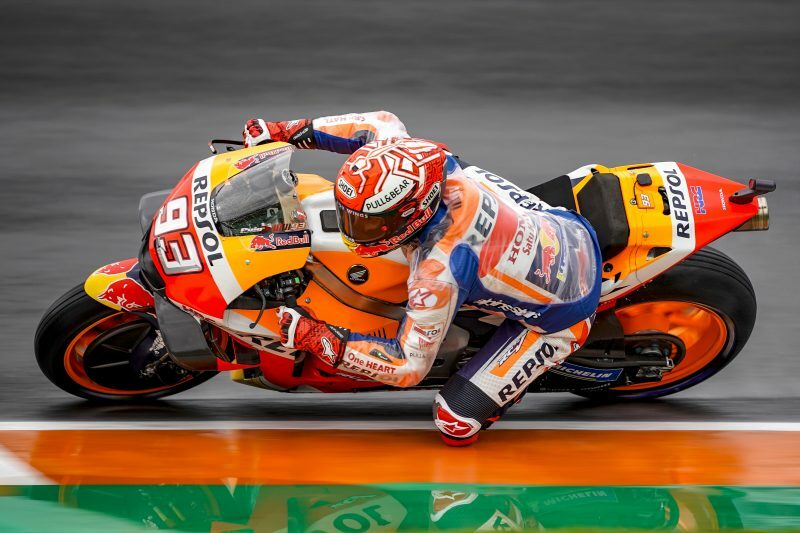 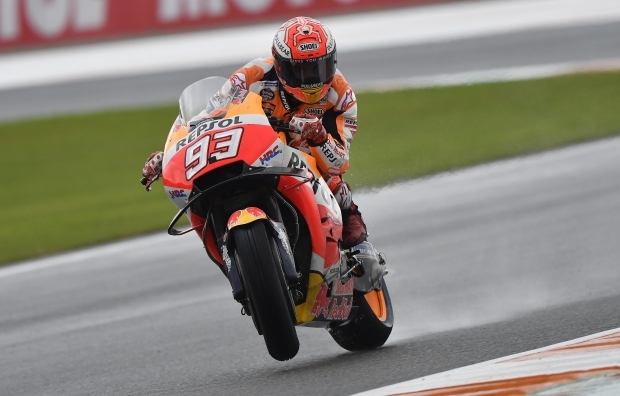 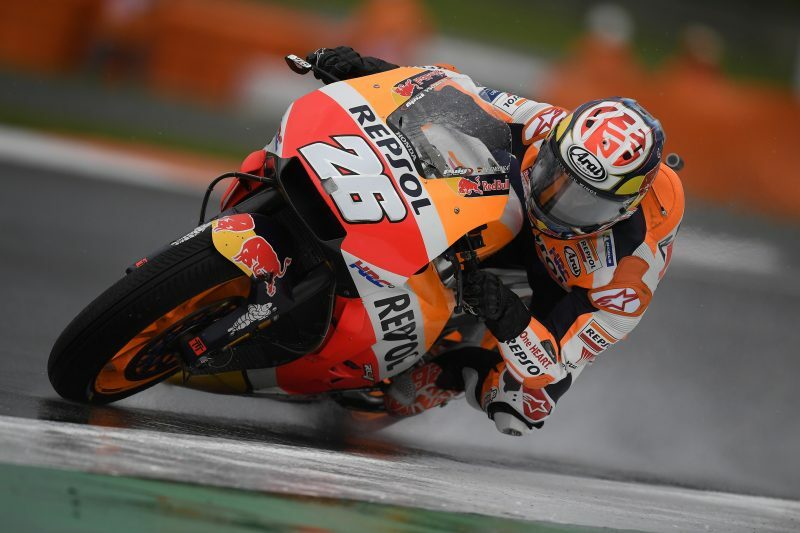 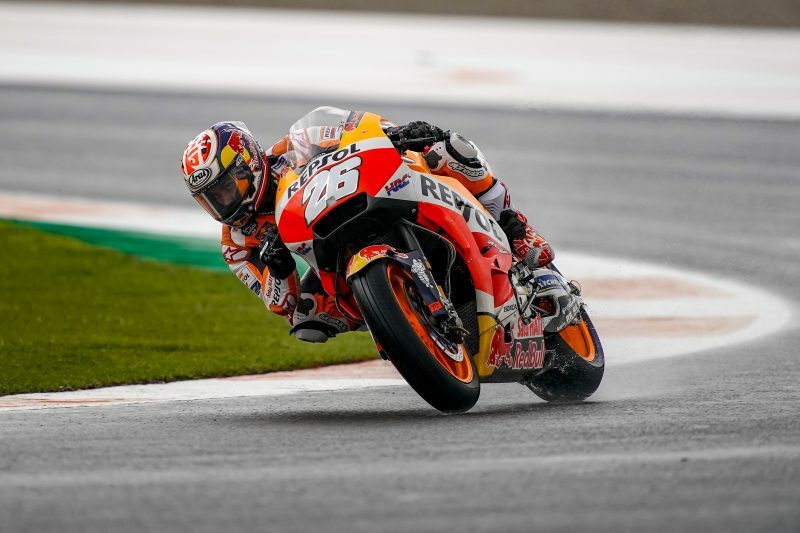 Almost uninterrupted rainfall marked day one of the Gran Premio de la Comunitat Valenciana, at times hard enough to force Race Direction to red-flag both FP1 and FP2 due to track conditions. 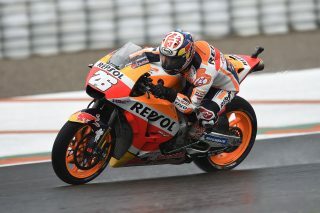 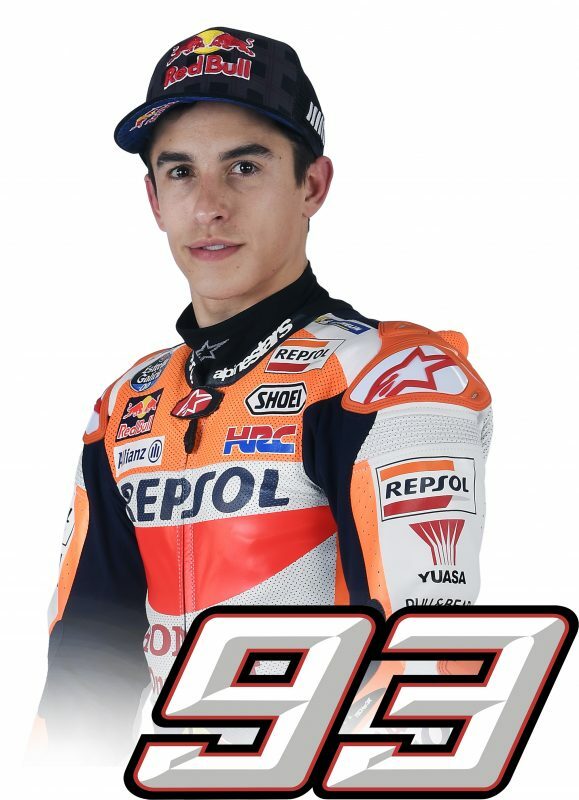 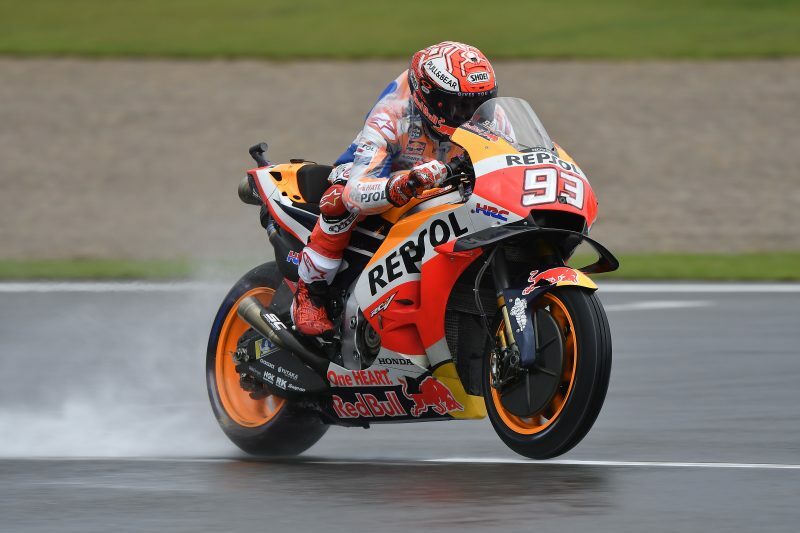 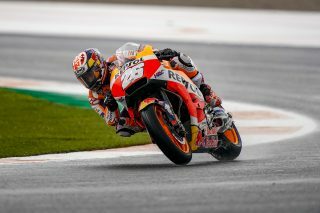 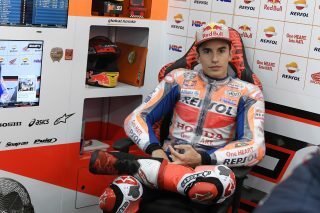 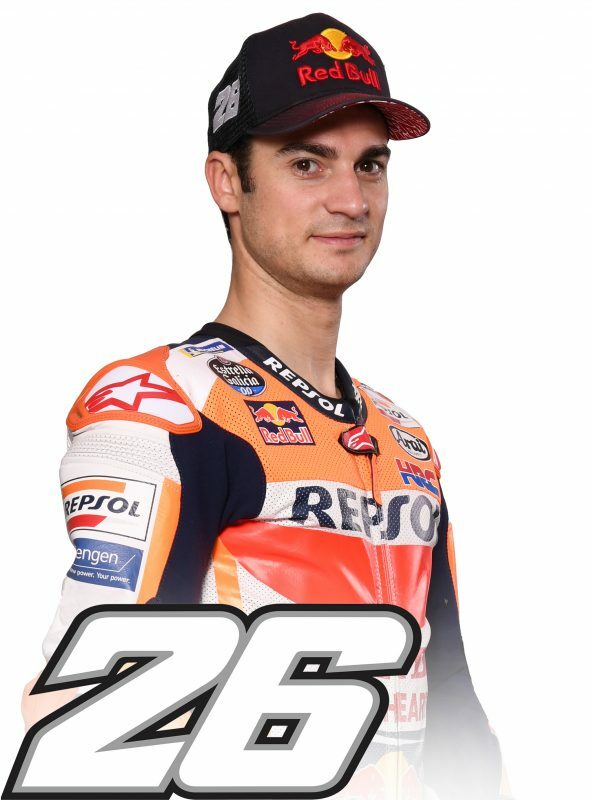 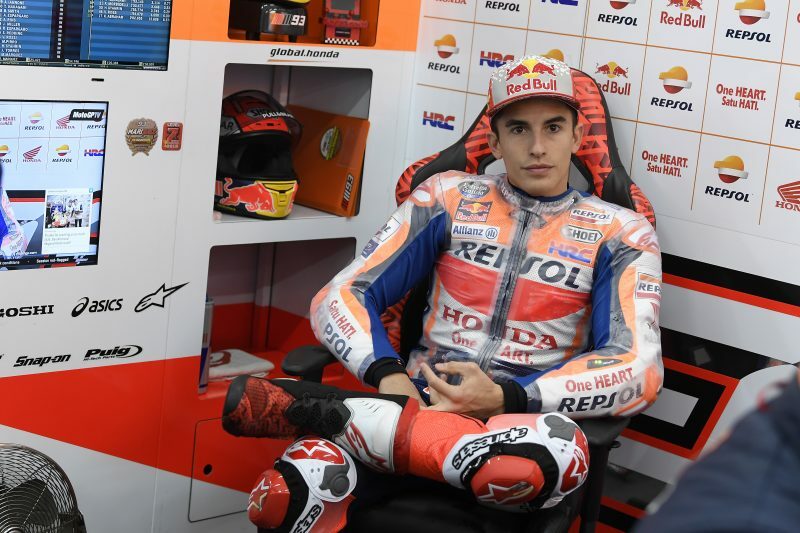 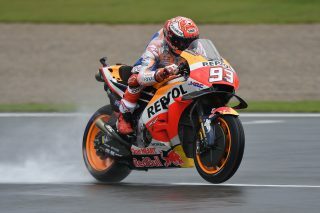 Marc Marquez set the fastest lap of the day in 1’39.767”, with Dani Pedrosa—newly named as a MotoGP Legend—in fifth place at 1’40.467”. 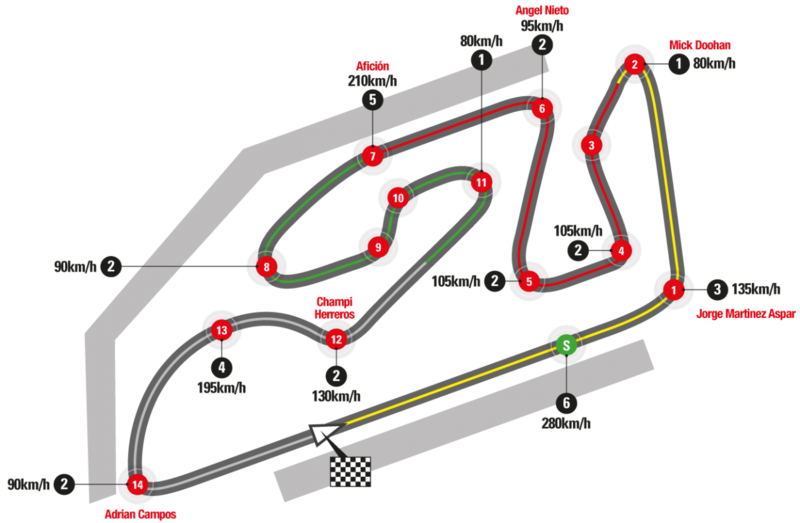 Both lap times were made in the morning. 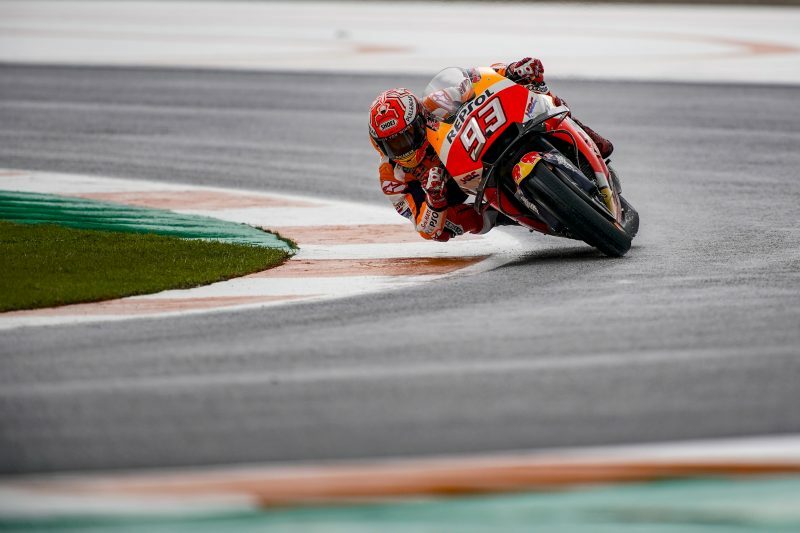 With weather forecasts also showing a chance of rain for tomorrow, Marc and Dani secured provisional top-10 spots that could put them straight into Q2 if rain actually does disrupt the FP3 proceedings.